Comment: Need Closed foam insulation on attic ceiling and walls in a full height, easily accessible attic. Comment: 2 years in a row of ice damming damage and leakage into our kitchen, hallway and upstairs bathroom. Trying to find an objective neutral expert party to determine if indeed what we are being told is true, the problem's is rooted in the imbalance of attic temperature or blocked ducts/vents. Roof was re-done replaced new this past July. Still, both we and our neighbors have had non-stop trouble this winter. Thank you! Comment: I would like to get an estimate for replace blowin insulation. Palatine Insulation Contractors are rated 4.69 out of 5 based on 998 reviews of 15 pros. 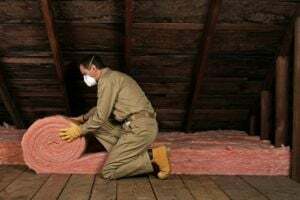 Not Looking for Insulation Contractors in Palatine, IL?